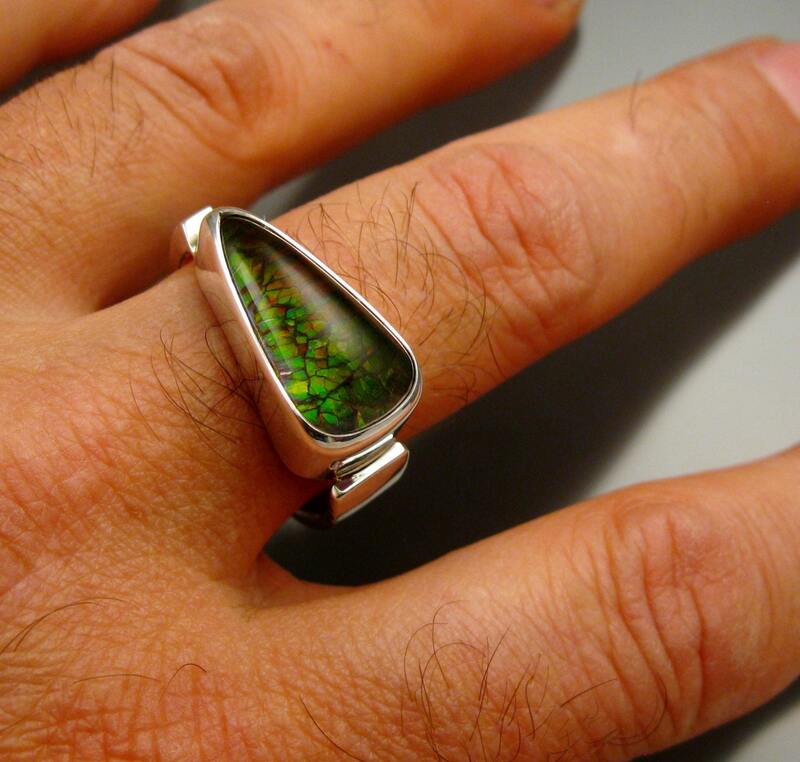 A large natural Ammolite and Quartz are combined here to create a one-of-a-kind statement ring. 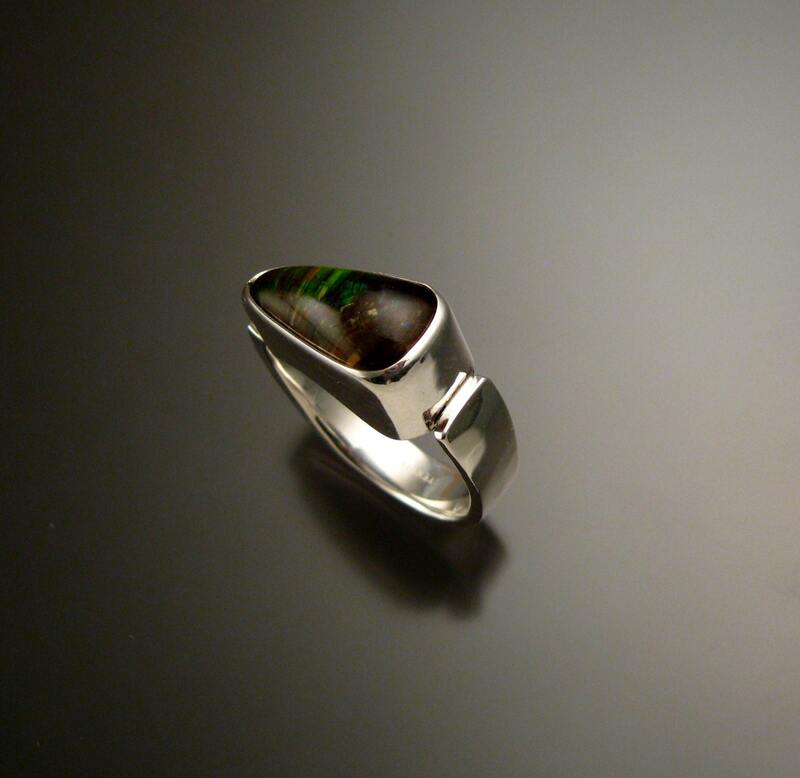 The stone shows bright opalescent orange and greens beneath water clear Quartz. 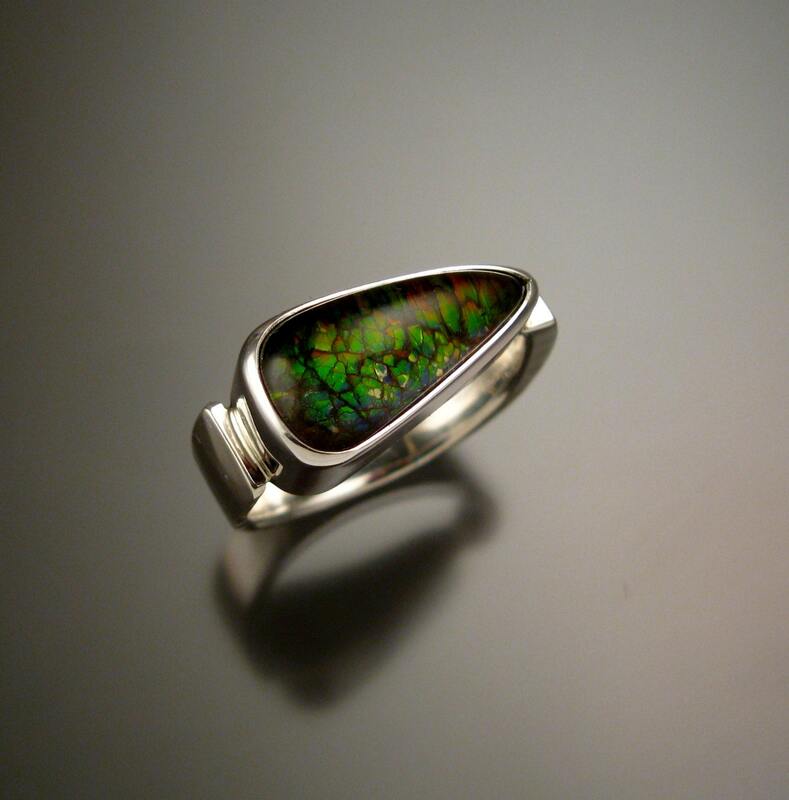 This assembly of two natural stones will outlast Opal ten to one. 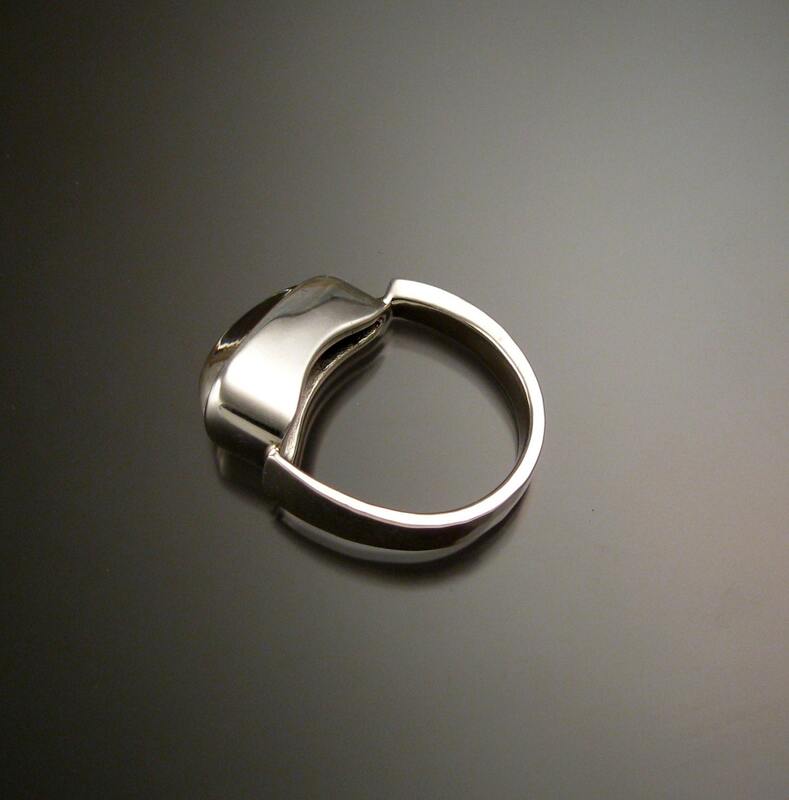 The setting is a heavy cold forged asymmetrical band with bezel set stone. 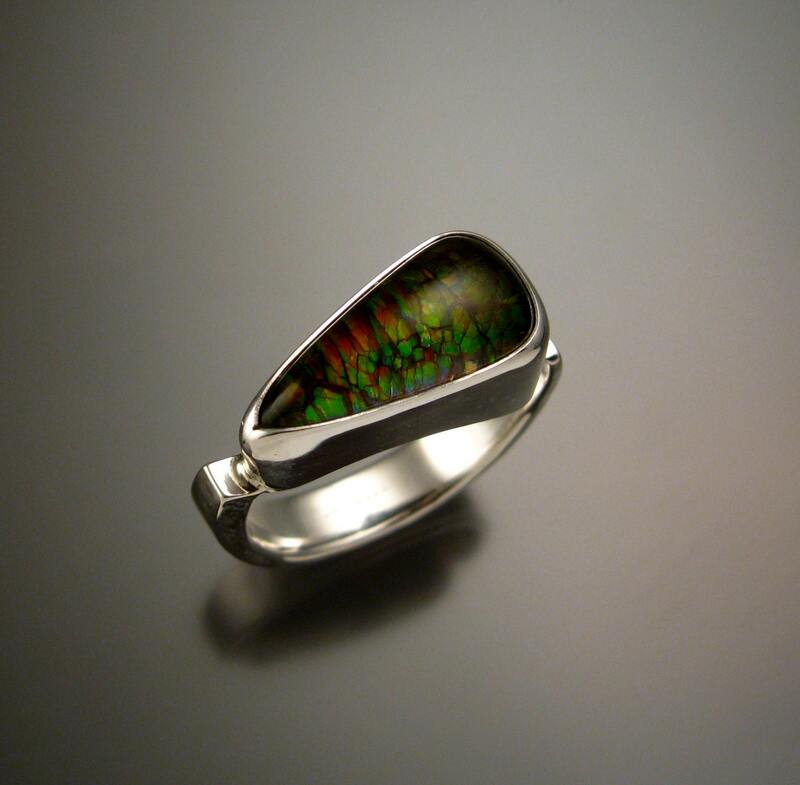 The ring is not completely round inside so it will fit from size 10 to 10 1/2 as is. It can be sized up as far as 11 1/2. It can not be sized smaller.